Whether new to Computer Science or an experienced teacher, we could all do with saving time by not having to prepare resources. 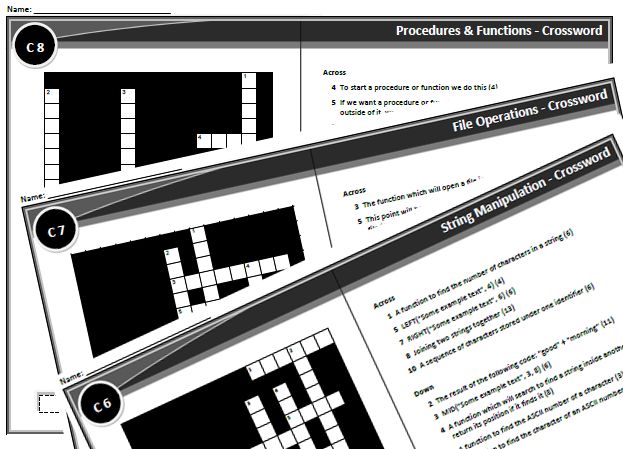 This GCSE Computer Science Workbook is built with teachers in mind. 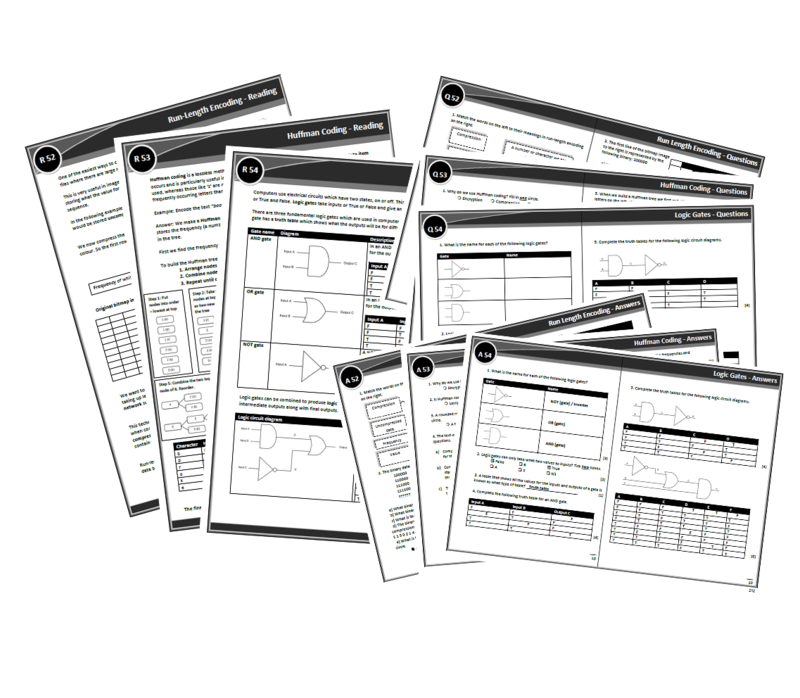 It saves you time by providing you with a bank of resources to improve lessons and increase student achievement. 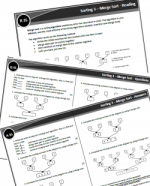 Setting homework, activities or meaningful cover becomes easy. 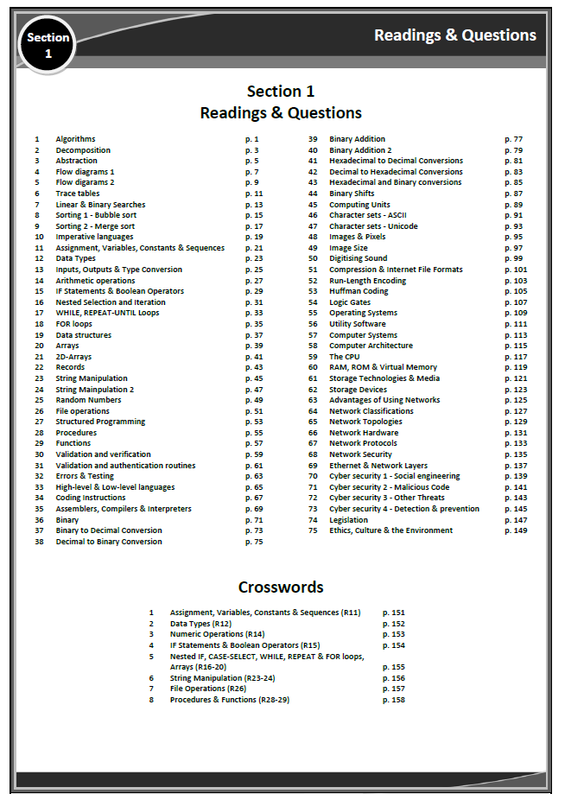 In total 75 topics are covered. 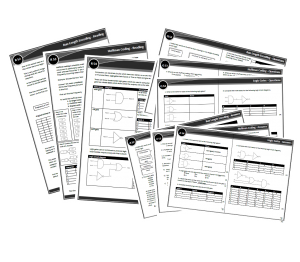 Each topic has one reading, one question sheet to fill in and one answer sheet. 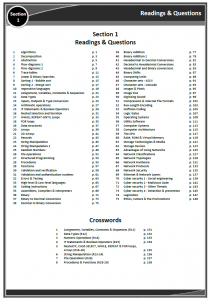 Programming theory follows the new style of pseudo-code used by AQA in examinations. 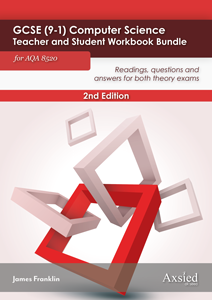 The AQA 2nd Edition contains two downloadable PDF files for the teacher and student versions.